Does Drinking Sugar Sweetened Soft Drinks Increase the Risk of Diabetes ? 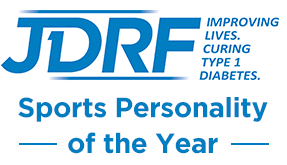 | Life, Sport and Diabetes - An everyday look at my life with type 1 diabetes. Does Drinking Sugar Sweetened Soft Drinks Increase the Risk of Diabetes ? Recently a European research report found in the journal Diabetologia, suggested that regular consumption of sugar sweetened soft drinks could be a contributing factor to getting Type 2 diabetes. A form of diabetes where by the pancreas still does produce some of its own insulin. But not as much as is required, so some people have to regain control of their blood sugars through a change in diet and sometimes tablets to increase production and or the sensitivity of insulin. Some European scientists have even suggested that drinking just one can of sugar sweetened drink a day, can raise the relative risk of Type 2 diabetes by as much as a fifth. Compared to someone drinking one can per month or less. Many of the headlines you find in the press can often link shocking statistics such as these to Britain or America where Type 2 diabetes is seeing a sharp increase. However, these studies were conducted in Germany, Denmark, Italy, Spain, France, Netherlands in addition to the UK. And over 350,000 people were included in the study, that was looking at the links between diet and cancer. In an interview to the BBC lead researcher of the study- Dora Romaguera from Imperial College London (also the home of pioneering diabetes treatments and research) said that 'The consumption of sugar sweetened soft drinks increases your risk of diabetes - so for every can of soft drinks that you drink per day, the risk is higher'. She is mentioned as having called for clearer public health information on the effects of sugary drinks. But in my opinion would it be such a bad thing to create clearer information for the public anyway? Whilst eating out or away from home it would make carb counting a lot easier and possibly eliminate the amount of over or under bolus calculations for people with Type 1 diabetes if they were made aware of what went into the food/ drinks they were consuming. Diabetes UK head of research Matthew Hobbs is included in the same BBC article, as saying that even when BMI (body mass index) was taken into account the link was still present between Type 2 diabetes and sweetened drinks. Suggesting that the risk was not solely down to the increased calorie intake. However, even if you disagree with the results of the research, there is no denying that maintaining a healthy weight is one of the most important things you can do to prevent it. Diet drinks have come a long way since I was diagnosed 12 years ago. Then as I recall the only diet drink widely available was Diet Cola, which was fine. But as the only viable option when away form home aside from water, sometimes I did wish for something different. 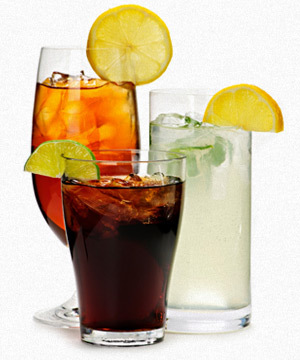 However now, the choice of diet soft drinks is a lot more varied including diet cola, diet lemonade, diet orange and many other diet alternatives. Although some are more readily available than others, things are certainly moving in the right direction. Over the years I've lost count of the amount of people that have commented when they've seen me drinking a diet beverage, saying that they don't like the taste or it doesn't taste the same etc. However, with tastes and choice having improved greatly alongside the range of diet flavours, in addition to the compelling research surrounding the risks of type 2 diabetes. Diet drinks could almost be considered good for your health so why not make the change today? Swap full sugar for diet and see how it tastes, your waistline and your pancreas might thank you for it.